Exploring Turkish Landscapes: Have you read our Istanbul correspondent's recent book? Click here for more. Lisa also has a new audio tour guide for Kadıköy Click here for more. TURKISH CULTURAL PROGRAM, every Saturday from 2 P.M. to 4 P.M.
We are building our radio station and transmitter and we need money. ORIENT EXPRESS every Tuesday at 10 P.M.
Ahmet Toprak is the editor-in-chief. Your broadcast host is Ahmet Toprak. ★ Turkey's President Recep Tayyip Erdoğan was in Germany this week. The visit was termed controversial by some analysts since German-Turkish relations are more strained than they have ever been. According to the Deutsche Welle, the two countries have been fighting over the European Union-Turkey refugee deal, democracy, press freedom, human rights violations, and charges of espionage. Germany is host to nearly 4 million Turks, some German citizens. Some of the new category of Turks are asylum-seekers and refugees from Mr. Erdoğan's regime. A state dinner for Turkish President Recep Tayyip Erdoğan in Berlin became awkward late Friday. In his speech, German President Frank-Walter Steinmeier lamented the deterioration of the rule of law and human rights in Turkey, and Erdoğan accused Germany of hosting "hundreds, thousands" of terrorists. "Eighty years ago, Germans found refuge in Turkey -- today, a worryingly large number of people from Turkey are seeking refuge here in Germany from the growing pressure on civil society," Steinmeier said before Erdoğan, his wife Emine, and distinguished guests. By "80 years ago" President Steinmeier was referring to Germans who sought refuge in Turkey before and during WWII from Hitler's regime. Speaking of refugees, among the people who sought refuge in Germany is Can Dündar, the former editor of the Turkish daily Cumhuriyet. Mr. Erdoğan's regime asked Germany to extradite him. Moreover Mr. Erdoğan said that he won't attend a joint press conference with German Chancellor Angela Merkel if Dündar attended. To ease tensions Mr. Dündar decided not to attend. Mr. Dündar is being accused of espionage and spreading propaganda. However, others say that these are standard trumped up charges that Erdoğan and his party administration use to silence their critics. Mr. Erdoğan was also allowed to which journalists to take questions from. Mr. Erdoğan's visit was to secure financial help to fix the ailing, Turkish economy, some report. Whether he was able to get any support is not clear. In related news, thousands protested Mr. Erdoğan wherever he went in Germany. In fact, some of the protests started even before he arrived. ★ Before flying to Germany, President Erdoğan was in New York for the 73rd session of the United Nations General Assembly on September 25. "If we cannot create a minimum level of peace and prosperity for all, all over the world, no one can live safely within their own borders." Mr. Erdoğan highlighted Turkey's aid to 4 million Syrian refugees -- a contrast to Trump's defense of securing U.S. borders from undocumented migrants. He declared the U.N. to be "very important for the future of the world" but with a caveat: Security Council reform. Mr. Erdoğan struck a nationalist note too -- warning "friendly countries" that fail to extradite terrorists wanted by Turkey would carry a "hefty price." The increasingly authoritarian leader referred to a U.S.-based Islamic cleric whom he blames for a failed 2016 coup attempt, VOA added. In related news, while in New York, President Erdoğan and accompanying ministers and Turkish officials met with leaders of Jewish organizations. He then met with the Palestinian president. The meetings were closed to the press. 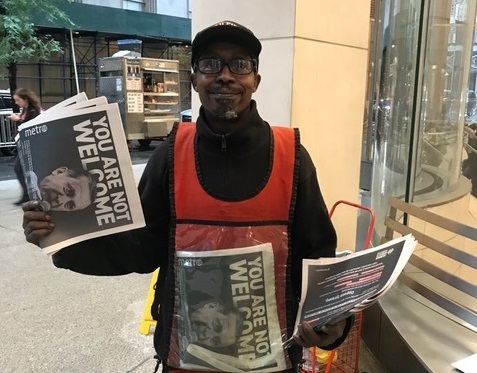 In the meantime, the New York paper Metro published ads on the first and last pages of the paper by the human rights foundation, showing an angry-faced Erdoğan. 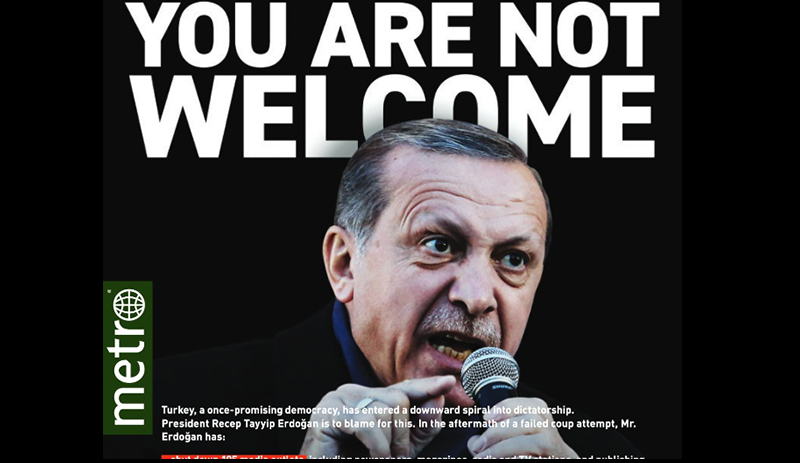 Over Mr. Erdoğan's head the ad said "YOU ARE NOT WELCOME". The ad said that dictators are never welcomed in democratic countries, and US would also not like them. The ad listed that after the 2016 coup attempt, 195 media organizations, 2099 schools and colleges closed, 170,372 civil servants, among them thousands of judges and prosecutors, were fired, 81,517 government critics, among them lawyers and academicians, were imprisoned, more than 319 journalists were arrested, and with a referendum that wasn't free and fair the administration of the country was captured. ★ According to Reuters, confidence in Turkey's economy fell by the most in a decade in September with a 15.4 percent tumble, official data showed on Thursday, reinforcing concerns about a sharp slowdown as the once star emerging market combats a currency crisis. In another sign of the economic headwinds, major carmaker Tofaş said it will halt output at its Bursa plant in northwest Turkey for nine days in October due to a local market contraction, sending its shares 5 percent lower. ★ Turkish government announced Thursday that they will work with US management and consulting firm McKinsey and Company for reforming Turkey's economic administration, the online publication Ahval reported. The decision met harsh criticism from the opposition on social media. Durmuş Yılmaz, former President of the Central Bank of Turkey and the deputy of the right-wing Good Party, said on Twitter that the decision showed that the government was trying to overcome the economic crisis in Turkey by implementing an International Monetary Fund program without International Monetary Fund. "They will see, things will not go according to the plan," Yılmaz said. Selin Sayek Böke, an economist and a deputy from the main opposition Republican People's Party also criticized the decision. The decision demonstrates that the new executive presidential system has collapsed only in three months and in effect means handing over state's top secret information to a U.S. company, she said. Ms. Böke also noted that the decision also meant making huge amounts of payments in dollars to a foreign company to run the Turkish state. 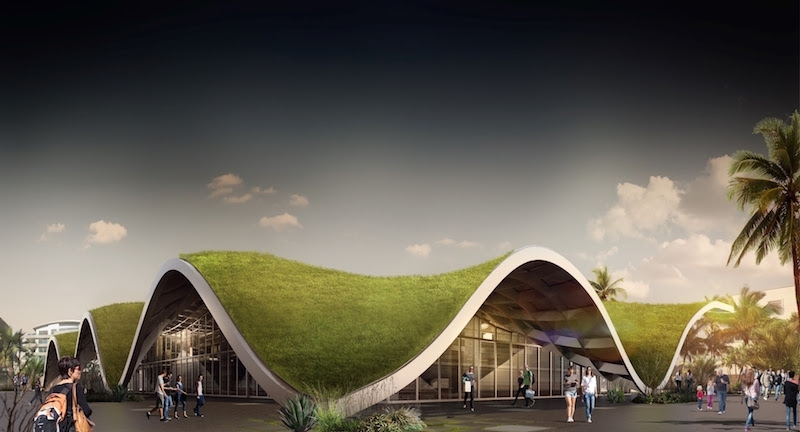 ★ An undulating green roof, inspired by the surrounding mountains, will cover a new organic market in Antalya, Turkey, reports the magazine Building Design and Construction. 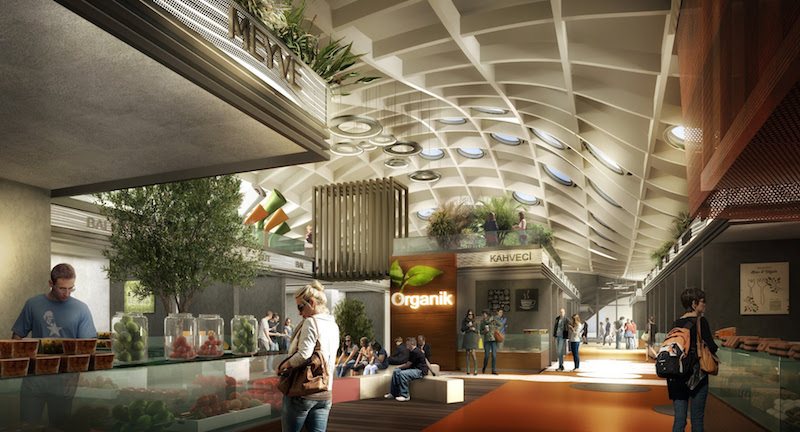 The Antalya Local Products market, designed by PDG Architects and ANTEPE, will house 76 shops, open pedestrian thoroughfares, large public squares, and access from all corners. The shops will vary in size between approximately 50 sq.ft. and 270 sq.ft. and will sell organic food products and local textile products from Turkey's different regions. Each shop also has access to a warehouse and cold storage for special products. Also included are eating and drinking areas and management units in the public squares. 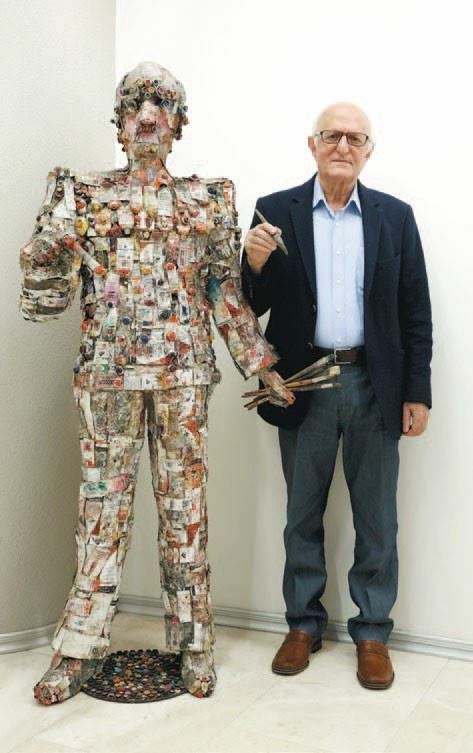 ★ Renown Turkish painter Mustafa Ayaz is celebrating his 50th year in art with an exhibitions at the gallery Kibele in Istanbul, reports the daily Cumhuriyet. The artist says that art is converting love, love of living and desires for the future into plastic values. In the exhibit, Mustafa Ayaz displays his colorful attachment to figure and subject. When the art lover follows Ayaz's unique figures, he will observe the travel through paintings and changes in plastic expression language. For his retrospective the artist says "I wanted to see and show how speaking, learning how to write and the language of plastic expression changes along with our lives and thoughts". He says that the art of painting is a tool for the journey of searching for self. 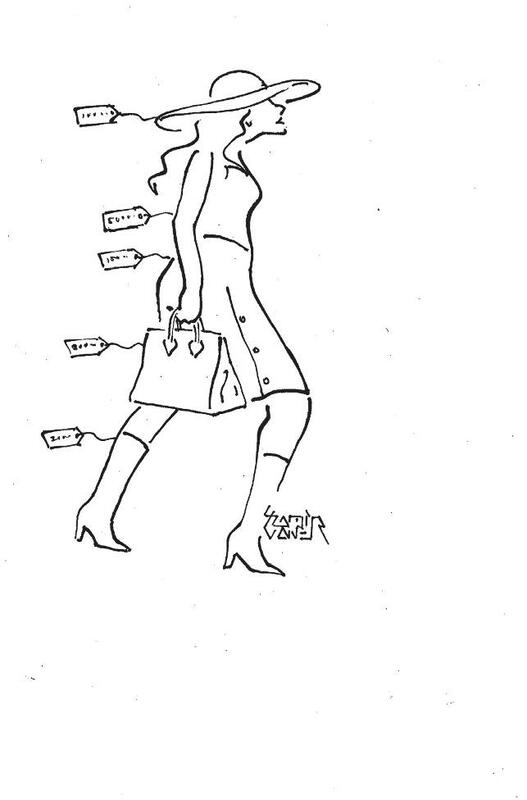 ★ Arzum Onan is opening her second personal exhibitions titled "Women" on October 3. Onan usually uses metal, wood and stone in her works, but this time around she will be displaying objects made of glass as well. 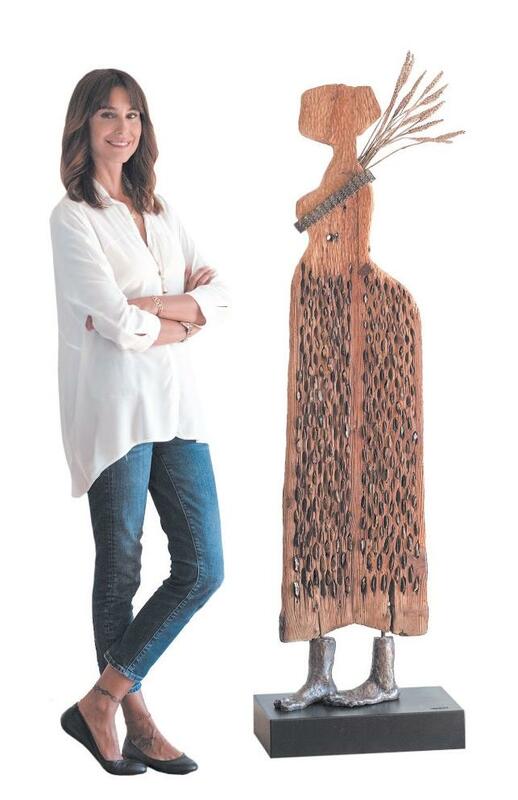 The exhibitions will display works that is the culminations of her 14 years of effort in plastic arts. By putting in the center of her works the women, she says she is emphasizing that we need more women's voice in every aspect of life. The exhibitions will be on through October 14 at Istanbul's Mimar Sinan Fine Arts University Tophane-i Amire Culture and Arts Center's Gallery Sarnıç. 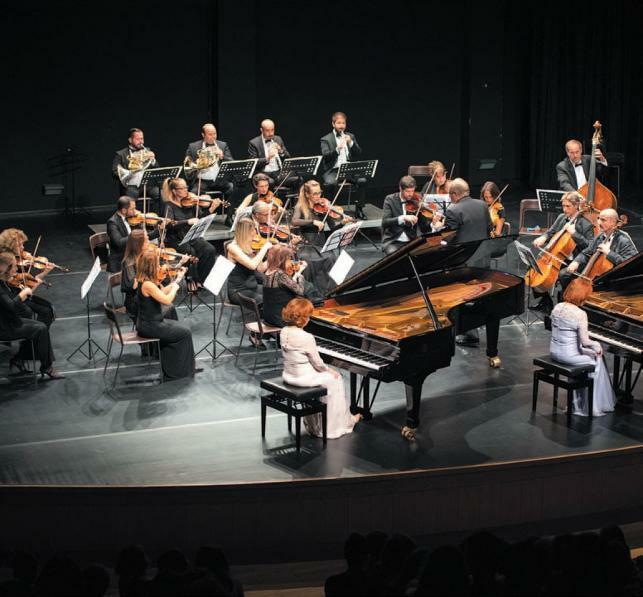 ★ Turkey's renown pianists Güher and Süher Pekinel identical twin sisters, joined the Istanbul New Chamber Orchestra for a concert. The orchestra was directed by renowned British conductor Howard Griffiths. As part of their 10-year project "Young Musicians on the World Stage", Pekinels invited to stage the youngest scholarship receiver of the project, Naz Irem Turkmen and performed together Vivaldi's "Summer" from his composition the "Four Seasons". Born in 1951 in Istanbul, Pekinel sisters mostly perform in duet. 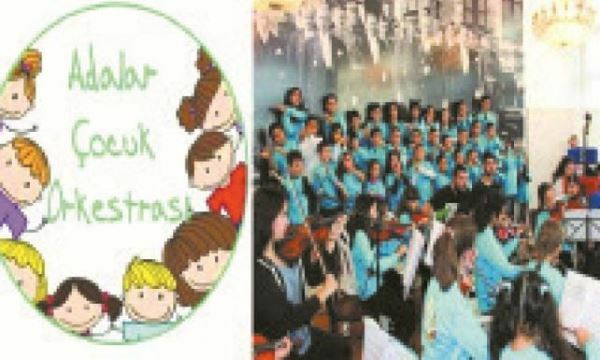 They appeared in public first at the age of six, and by nine years old they had made their orchestral debut with the Ankara Philharmonic Orchestra. ★ Istanbul has an unusual place for people interested in cartoons. Called the "Cartoon House", the place has been the drawing home for over 30,000 people since its opening two years ago. This year the cartoon house will organize again workshops and discussions in the accompaniment of the cartoonists. The first discussion took place Saturday with Devrim Kunter and comics artist Yıldıray Çınar as the speaker. The Cartoon House is also featuring the drawings of Sami Caner in an exhibition at the start of the new season. 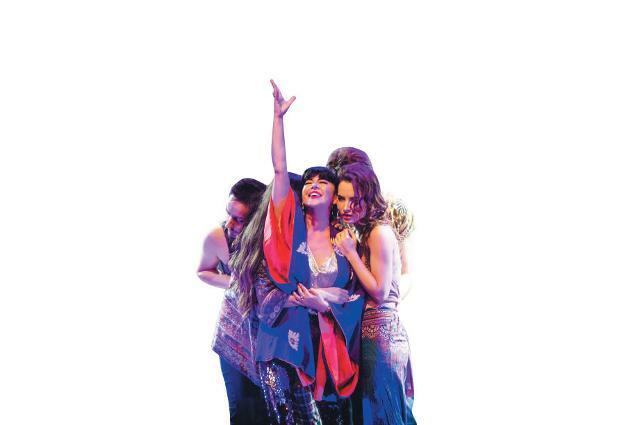 ★ In Istanbul's Harbiye Open Air Theater 2007 Broadway hit "Rock Musicals" is being staged by Turkish artists. The Rock Musicals features excerpts from "Hair", "We Will Rock You", "Rock of Ages", "American Idiot", "Jesus Christ Superstar", "Footloose", "Rent", "Rocky Horror Picture Show", and "School of Rock". The three-hour show was attended by 4000 people. ★ The award winning director Ramin Matin's full length film "Siren's Call" will compete in the 31st Tokyo International Film Festival for the main prize. The film is a black comedy set in present-day Istanbul, a city which "has turned into an immense concrete wasteland," notes Matin. The film's protagonist, Tahsin, "cannot bear all of the noise and frustration of this city," says the director. His pic "plays inevitably as a comedy because most of what happens to people in this city is absurd." 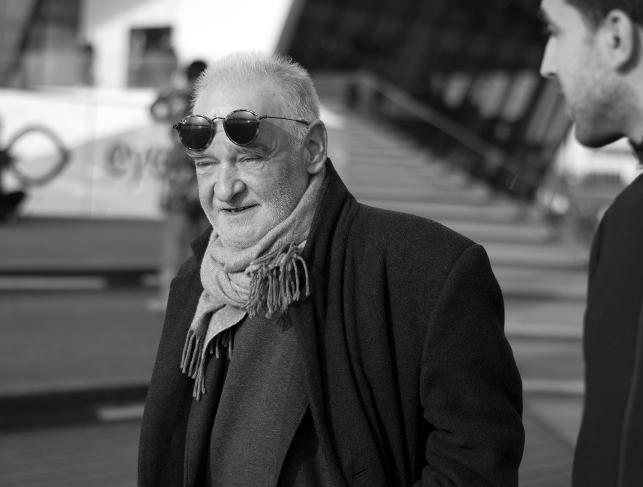 ★ The internationally renowned Hungarian director Bela Tarr was at Turkey's Antalya International film Festival. 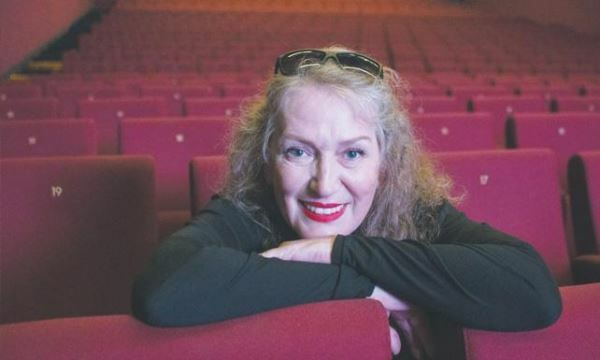 Tarr was there to conduct a special workshop at the Film Forum of the Festival. 12 participants chosen by Tarr met the renowned director for the first time. Afterwards the 12 participants and Tarr went out into the local neighborhood market in Antalya and visited touristic areas such as the historic fort to discover a venue for a movie. In his workshop that will continue until October 3, Tarr will mentor the new generation of directors on their artistic approaches and then will make a short film with the finalists. 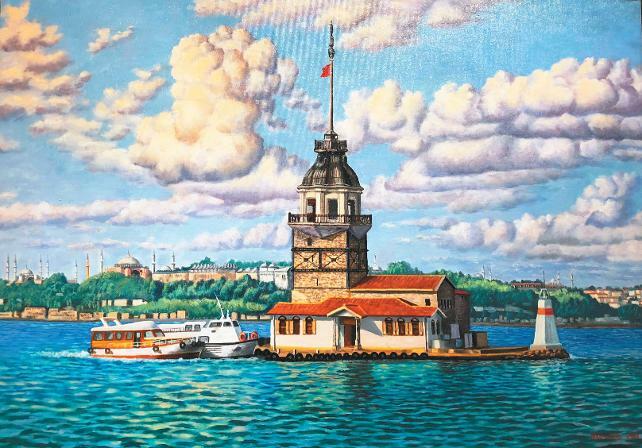 ★ Istanbul's Trump Art Gallery is featuring the renowned Romanian painter Valentin Chirvase's paintings of Istanbul. Chirvase came to Istanbul for the first time in 2005 and painted the beauties of the metropolis for two years. The exhibition will be on through September 30. 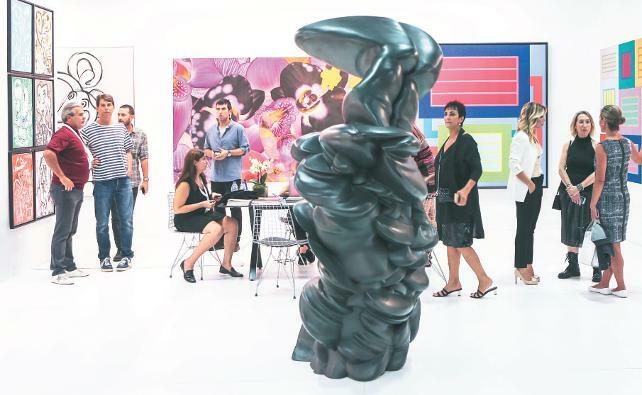 ★ 13th Contemporary Istanbul ended on September 23 and had 74,000 visitors in five days. In the fair, 83 galleries from 22 countries featured 2000 contemporary art by 400 foreign and 650 domestic artists. ★ The MIX Festival will take place in Istanbul for the third time between November 16 and 17, reports the daily Cumhuriyet. The Festival squeezes different types of music into two days. 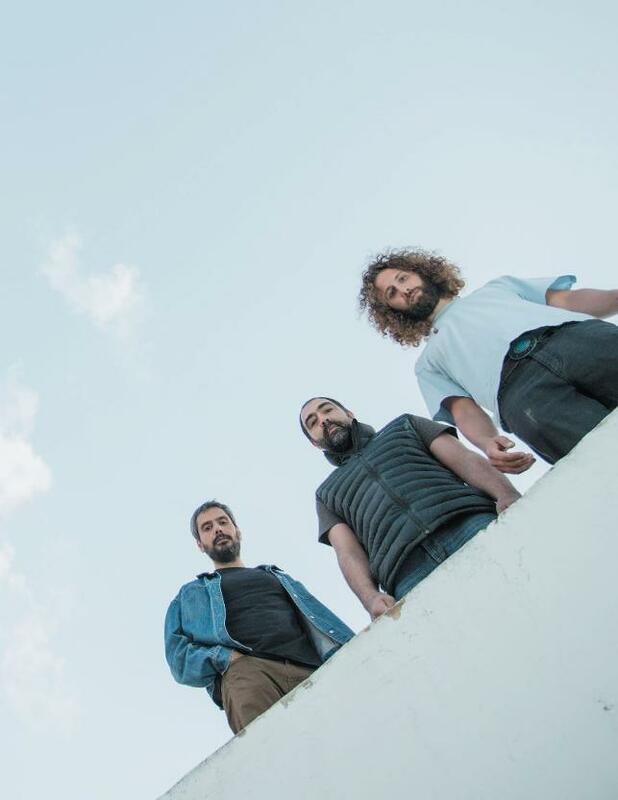 Getting intense interest from Istanbulites, this year the Festival will host electronic music duo Polo and Pan, a prominent name in the "black pop" genre Aurora. In addition, Her, Kazy Lambist, Otzeki, Sophie Hunger will be on the stage. ★ The Prince Islands Children's Orchestra in Istanbul are in a three day musical camp. The British Purcell Musicians School under the direction of Dr. James Ross, Turkish youth Philharmonic Orchestra under the direction of the renowned musician Cem Mansur will be leading the camp. The music camp has started on September 28 . 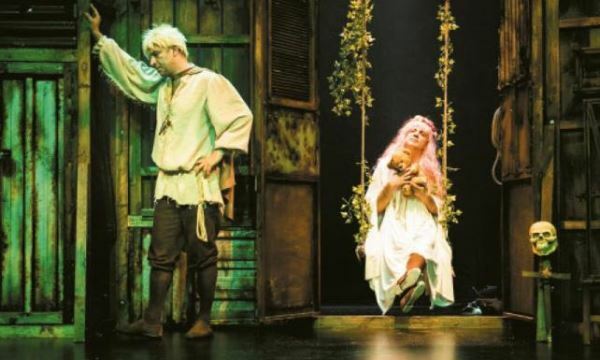 ★ Baba Sahne, a theater in Istanbul whose name translates as "Daddy Stage" literally, but could mean "Grand Stage" in colloquial Turkish, is staging an unusual interpretation of Shakespeare's Hamlet. The interpreted Hamlet is dubbed "A Baba Hamlet" and will be performed starting October 4 for four days. There were many awards given to the play. ★ Red Bull Music Festival has started in Istanbul this year on September 26 and will continue until the 30th. 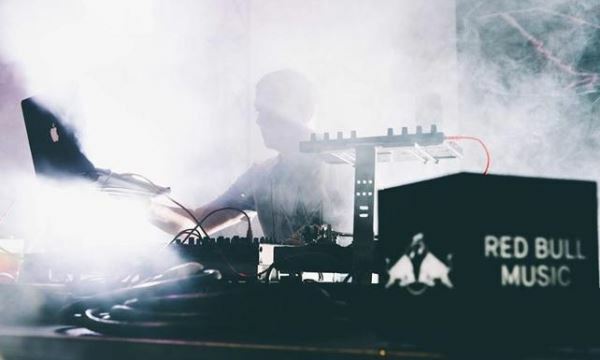 The Red Bull Music Festival takes place in 16 different cities of the world every year. Among the cities are New York, Los Angeles, Paris, Berlin and Sao Paulo. For five days the Festival takes place in different venues with different concepts, and offers unique programs to the music lovers. This year there are 60 artists in the Festival. In addition to music events the festival features exhibitions, film screenings and discussions with artists. On September 26, a performance featuring improvisational music took place in Istanbul's Austrian Consulate General Culture Office yard. During the performance a musician came up to the stage and improvised for five minutes. Then a second musician came up to the stage and the duo improvised for another five minutes. Afterwards the first musician stepped down from the stage and yet one more musician came up to the stage. 16 renowned names from Turkey and abroad took part in the performance. Started in 2009 the group has music on politics, religion, corruption and injustice. The group members says that they address a generation who live in a disturbed geography and whose feelings they act as interpreters. 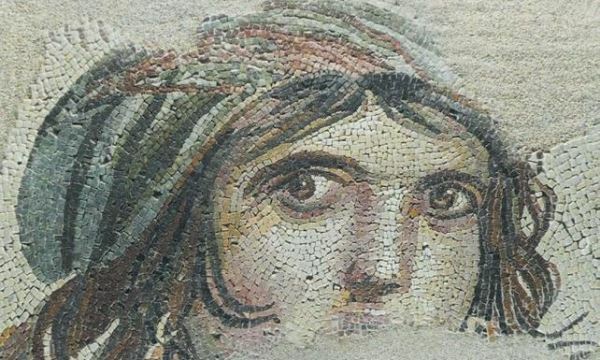 ★ Parts of the renowned Zeugma mosaics that have been smuggled out of Turkey decades ago and ended up in Bowling Green University are being repatriated with the Turkish city of Gaziantep. Zeugma is an ancient Roman outpost in what is now southeastern Turkey in the province of Gaziantep. Archaeological excavations in recent years revealed exquisite mosaics at homes there dating back to almost 2000 years ago. The city was thought to be established by a general in Alexander the great's army. A 19,000 sq. ft. museum, the world's largest, was built in the province to host the mosaics. The Mosaic Museum opened in 2011. 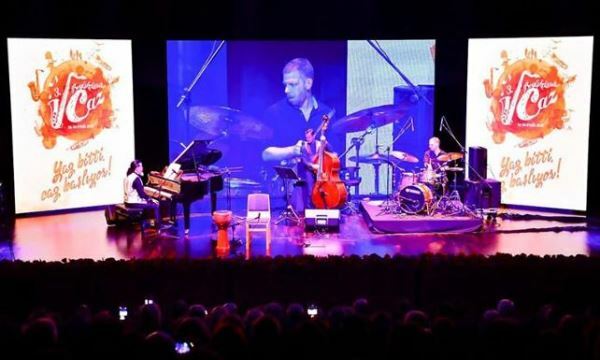 ★ Organized by the Beylikdüzü municipality, the third Jazz Days opened by Mayor Ekrem İmamoğlu. The slogan of this year's event is "the summer is over, and jazz starts". The event will continue until September 30 Beylikdüzü Ataturk Culture and Arts Center. The event will feature renowned Turkish jazz bands. ★ A new album, "Kardeş", is out, featuring Turkish and Bosnian music. Singer Suzan Kardeş is collaborating with Divanhana, a group that plays traditional Balkan music. 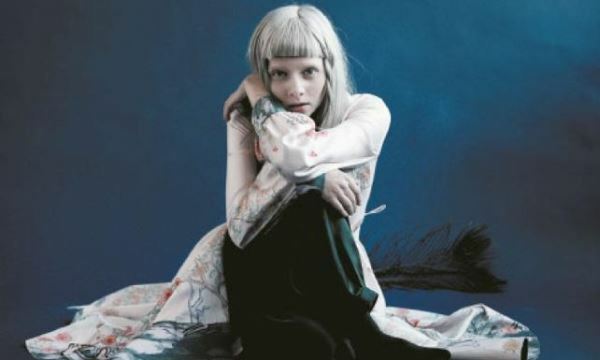 The name of the album translates as "Sibling". The album has "Sevdalinka" songs. Sevdalinka is a traditional genre of folk music from Bosnia and Herzegovina. ★ Izmir Greater Metropolitan area municipality is starting a series of concerts. Dubbed the "fall" concerts, it will feature both traditional and other genres of music, from Turkey as well as abroad. Izmir is the third-largest city in Turkey, referred to as the Pearl of the Aegean. There will be five venues for the concerts and they will all be free to the public. Among the artists will be kemenche player Arslan Hazreti from Iranian Azerbaijan, Ross Daly from Ireland by way of the Greek island of Crete, group Ta-KiDum, Melis Sökmen, Group Tanini, and Şems Trio. understanding between Americans and Turks. International Cultural Program with host George Geevargis. Please contact with Yore Folk Ensemble for the details. TELL YOUR FRIENDS who might be interested joining our group.